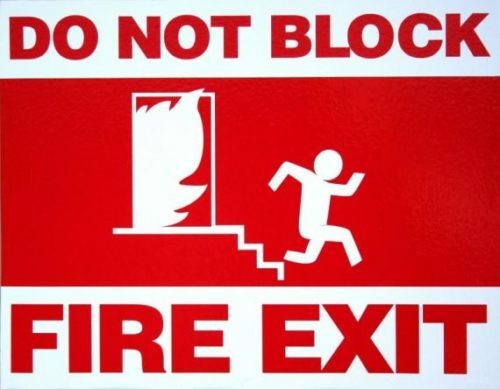 Dear WHO FCTC, do not block the exits for people trying to quit smoking using vaping, smokeless, heated tobacco or novel products. Remember, the enemies of innovation can do more harm than good. Every two years, the Parties to the WHO Framework Convention on Tobacco Control meet to discuss how to advance the treaty. The 8th meeting of the Conference of the Parties (COP-8) is being held this week, 1-6 October, 2018 in Geneva. I was one of those agitating for the FCTC back in 1999-2003. Generally, the FCTC doesn’t do what normal international treaties do – address some transboundary issue like climate change, international trade or intellectual property. It tries to establish norms for regulation of tobacco commerce within countries – a kind of solidarity mechanism for national anti-tobacco policy. The problem is that this idea all goes sour when the WHO, Convention Secretariat and/or Parties agree, in solidarity, to normalise truly terrible policies – for example, to encourage prohibition of e-cigarettes, to treat all smokeless tobacco as though it is the same and just as risky as smoking, or to regulate heated tobacco products as though they are cigarettes. All really harmful ideas that protect the cigarette trade, perpetuate smoking and cause more disease and death. For the full picture, please read both letters. Is WHO / FCTC really a prohibitionist over-zealous regulator? In a Decision of COP-6 (2014) FCTC/COP6(9), the FCTC declares that prohibition is a normal policy option on a par with regulating there products. Of course, a prohibition would leave the market to cigarettes and illicit trade. The WHO paper on ENDS for COP-7 (2016) FCTC/COP/7/11, stresses prohibition as the default starting point (eg. see para 29). The science base and policy proposals of the WHO COP-7 paper was subject to a blistering critique by the UK Centre for Alcohol and Tobacco Studies. The FCTC Secretariat paper on ENDS for COP-8 FCTC/COP/8/10 is highly negative and strongly prohibitionist. See para 24-26 for an example of unqualified hostility to vaping products, with no recognition whatsoever of the benefits. It goes to the trouble of setting out which parties have prohibited ENDS in a table, but does not tabulate other policy options. 25. Data gathered by WHO for the WHO Report on the Global Tobacco Epidemic 2017 using legislation in place by December 2016 illustrate that ENDS were banned in 30 of the 195 WHO Member States globally (about 15%). In the remaining Member States where ENDS were not banned, only about 65 had regulations. 27. Despite ongoing discussions in the COP over the last 10 years with regard to potential approaches to regulate ENDS, there are still a large number of the Parties that are not yet regulating these products, with potential consequences with regard to increasing uptake by young people, the impact on existing tobacco control measures, misleading health claims and deceptive marketing strategies, and ultimately the lack of proper information to consumers. Clive whenever I read about WHO and the types that dominate it, I keep thinking of Oberdier Slope: cynical opertunists in an institution that has grown complacent and largely lost sight of what it’s, really all about. Clive, you’re expecting rational behavior from Antismokers. Virtually all Antivapers are simply Antismokers dressed in new clothing, and they carry over the same sorts of behaviors/strategies/thinking that served them so well over the last 20 years. Think about the different types of Antismokers (See: https://www.sott.net/article/128768-Recognising+Anti-Smoking+Types ) and then consider what types are concentrated in fighting against E-Cigs and look into their motivations more deeply to gain a better understanding of how to fight them. It is staggering that such learned people can be so wilfully ignorant! In fact it makes me wonder what vested interests might some of these policy makers might have. Do any of them secretly hold shares in the large cigarette companies? After all, it seems as if they are doing as much as they possibly can to protect the trade of those companies. Or do a number of them perhaps hold shares in the pharma companies who make the traditional NRT products? Of course, that is just based upon my wild speculations, with no real basis in fact… However that seems quite a fair thing for me to do, because that is how they seem to make policy too; ignore the facts, and take wild stabs in the dark. On a personal level, I am extremely happy that I now have enough vaping devices to last me a lifetime, because if these fine folks have their way, it may be difficult to obtain them in future. As a 35 year smoker who finally managed to kick the habit thanks to vaping, I can only look upon these policy makers with intense disdain. I had tried the various gums, patches, pills and sprays over the years, in an effort to kick my 60 a day habit, and found them woefully lacking in effectiveness. One day I purchased a pen style vaping devices on a whim and found it to be satisfying enough that I decided to find a proper vape store to buy a much better device, and within a two week period went from dual use of cigarettes and vaping, down to just vaping. Admittedly I still vape even now after three years of being free of the cigarettes, quite simply because I enjoy it so much, after all, what’s not to enjoy about something that satisfies both my sweet tooth, and keeps me from smoking? Since giving up the cigarettes I no longer suffer from regular asthma attacks, nor do I have the perennial rhinitis or the frequent bouts of bronchitis, and chest infections which require steroids and antibiotics to treat are a thing of the past. Financially I am in a far better position, and my clothes and my surrounding now carry hints of fruit as their main fragrances, instead of reeking like an ashtray. This WHO statements leave me speechless. Their narrowed view is unbelievable and unbearable. Austria, Italy and Greece are among the many countries where smokers and capers suffer the consequences of the WHO policy. As a new vaper who recently switched from cigarettes to vaping I’m deeply concerned about the future of the vaping industry. After no more than 10 weeks I already feel the benefits of vaping: I’m able to breathe deeper, I’m able to ride my bike again, I’m not coughing anymore… It’s amazing and I’m very grateful that the opportunity to switch to vaping was given to me. I lost my sister and my father to lung cancer. Both were smokers. My brother suffers from COPD and he believes that vaping is as damaging to the health as smoking (information gotten from the media and – as he says – common sense, because it stands to reason that our government wouldn’t prohibit advertisement, online sales and shipment of vaper products if they were less harmful than cigarettes). To me the policy of the WHO and the national governments border “mass murder”.